Klaipėda city is the northernmost ice-free port in the Baltic States and the only one in Lithuania. 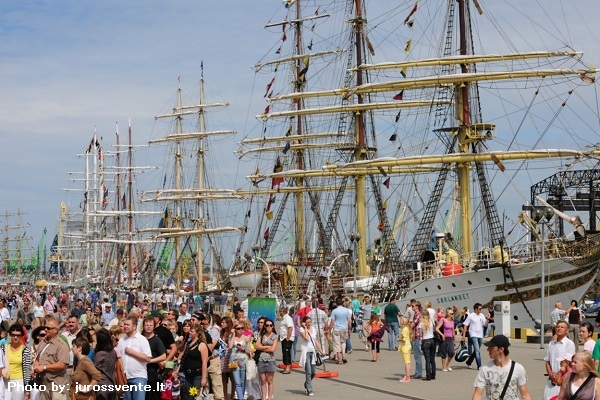 Klaipėda cherishes marine traditions– it hosts the Sea Festival on the last weekend of July every year since 1934. This event includes a number of performances of artistic companies and craftsmen’s fairs. 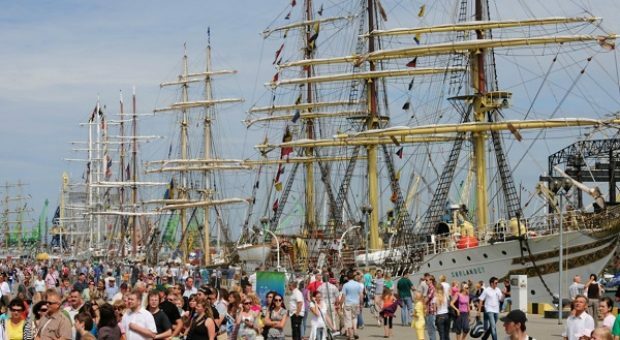 The festival attracts many participants and guests not only from Lithuania but also from abroad. Klaipėda, a port and commercial city located just to the south of Palanga, is the largest city in western Lithuania. Many commercial and cruise ships dock in Klaipėda. Concerts, trade fairs and excursions are off ered to city guests. Among the many attractions is the Sea Museum, located within impressive 19th century fortifications. Apart from its many atmospheric display tanks of exotic fi sh the museum off ers daily performances by trained dolphins and sea lions. No matter when you visit the seaside resort of Palanga, it will definitely impress you. The town off ers white sand beaches, fresh pine woods and many attractions: jet skis, kite surfi ng, peddalos, fi shing, horse riding, tennis courts and swimming pools. The EuroVelo 10 (EV 10) cycling track stretches right the way along this gorgeous coastline. In the evening, take a walk through the peaceful botanical garden surrounding the former manor house of the noble Tiškevičius family. The Amber Museum is located inside the mansion. The majestic building also hosts evening concerts on the terrace. In central Palanga, Basanavičius Street is lined with restaurants, cafés, nightclubs and casinos. Crowds of people walk along this street to the 500-metre long Palanga pier to see the sunset. The Curonian Spit features one of the most beautiful landscapes in Europe and is inscribed on the UNESCO world heritage list. The unique resort of Neringa connects the lovely fi shing villages of Juodkrantė, Preila, Pervalka and Nida, stretching 50 kilometres along the spit. Neringa is a place well loved not just by families on holiday but also by sailors, yachtsmen, kite surfers and paragliders. The Nobel Prize winner Thomas Mann spent several summers in Nida in the 1920s and 30s. You can visit the house where he stayed. All visitors are mesmerised by the sand dunes of Nida. Breathtaking views open up from the crests of these white mountains of sand that tower over Nida, across green patches of pines, the peaceful Curonian Lagoon and the Baltic Sea. There is the feeling here that you are listening to a symphony of wind, sand and water.